GLDS serves more than 130 NCTC member companies. Find out why we're the most attractive solution available. GLDS provides small-to-medium broadband providers with market-leading billing, customer management, billing and provisioning solutions. Our in-house and cloud-based solutions help make smaller operators look big with tools like automated outage detection, real-time risk management, mobile workforce management solutions and web-based customer self-care. Of course, GLDS also meets the basic needs of all operators like order management, tech scheduling, accounts receivable, payment processing, service provisioning and much more. A killer bill helps tie it all together to make sure you keep revenues flowing. GLDS has installed software for over 400 operators in 49 U.S. states and 45 countries worldwide, offering “tier-one” features at significantly lower prices. 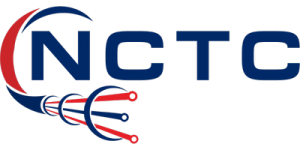 As an NCTC Approved Vendor, We currently serve more than 130 NCTC member companies and look forward to serving you too! Click here for an overview of the complete GLDS Ecosystem. Using watchTVeverwhere? We offer automated support for that solution too! We attend all NCTC & ACA Events and would love show you what we can do for you.